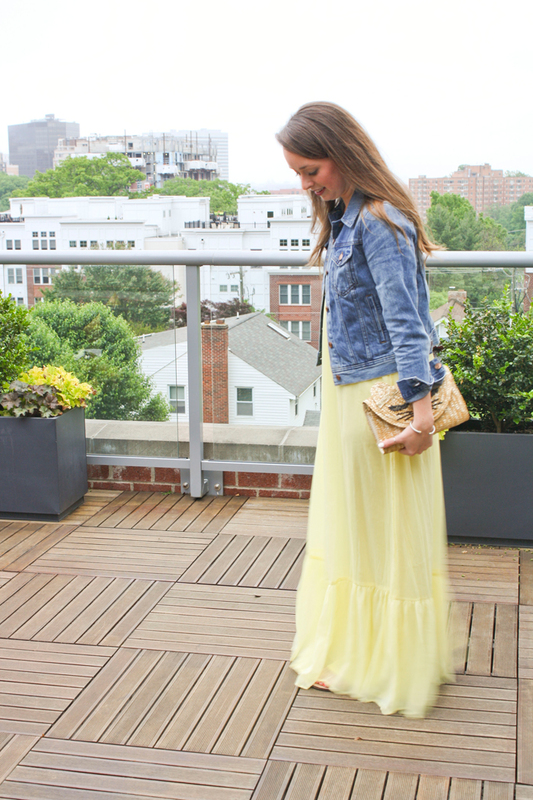 ASOS Maxi Dress // J.Crew Jean Jacket// ASOS Cat Purse // Kendra Scott Necklace c/o // DY cuff // Sam Edelman Sandals (similar) // Butter London Nail Polish // Bite Lipstick in "pastille"
It's been all rain and and nothing but clouds in DC for the past week... I planned this shoot 4 times and shot it twice. It was quite the struggle! But I was determined to shoot this look because I'm just so in love with it. (These photos were taken in a slight fog that ended with rain... ha.) 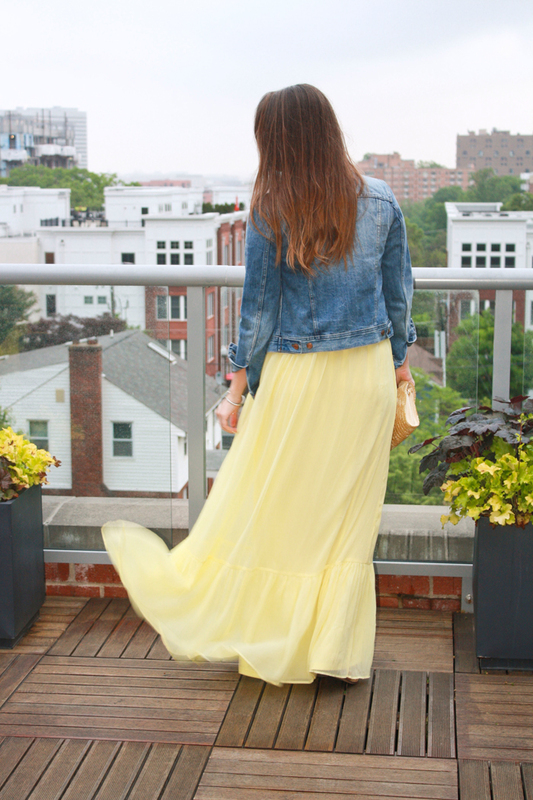 I haven't stopped wearing my jean jacket [best purchase ever] and it was the perfect addition to wear with this yellow maxi aka my sunshine. I'm pretty good about breaking out the bright colors in the spring time when it's gross and depressing outside - you have to make your own sunshine. 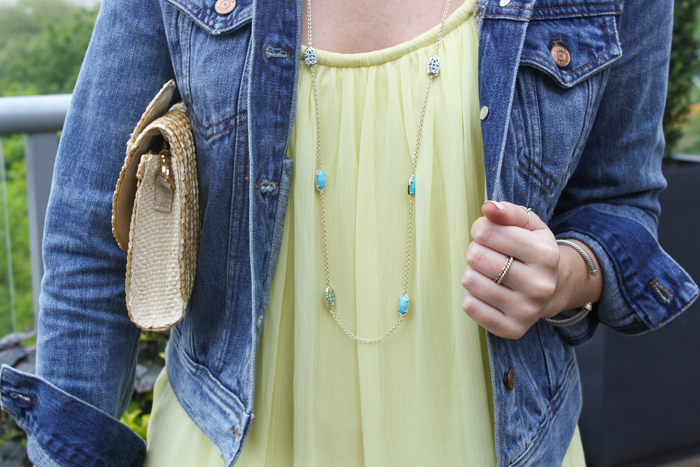 It's the perfect compliment to this gorgeous turquoise Kendra Scott necklace. That you can win below!!! I love how the back of the stones even have a pretty look to them. This is different then my typical tassel necklace but it still provides the length and interest that I love. 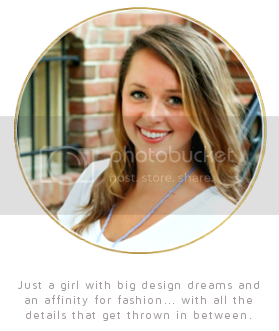 Double it up or wear it around your wrist - it's perfect! 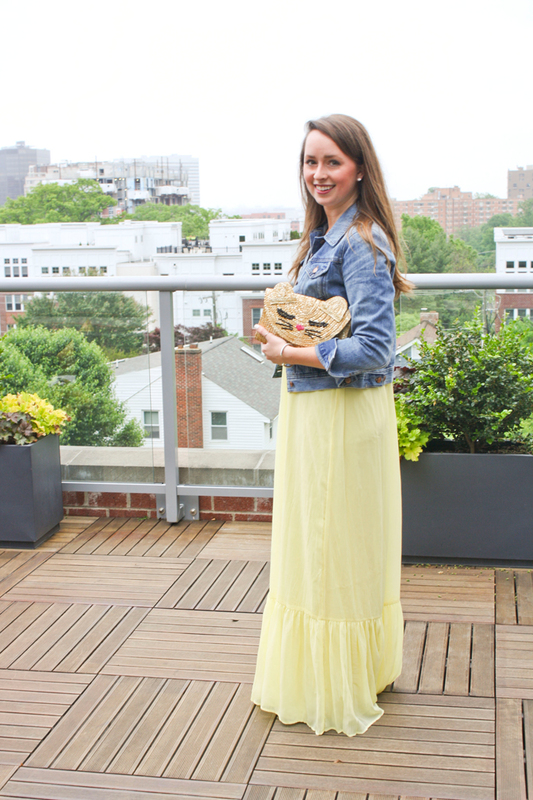 LOVING your yellow maxi!! Such a beautiful color! 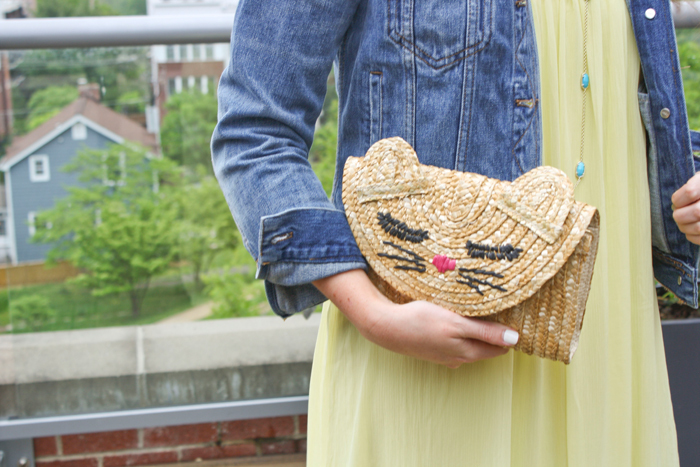 Love how you styled it with a denim jacket and that adorable clutch! Great look!